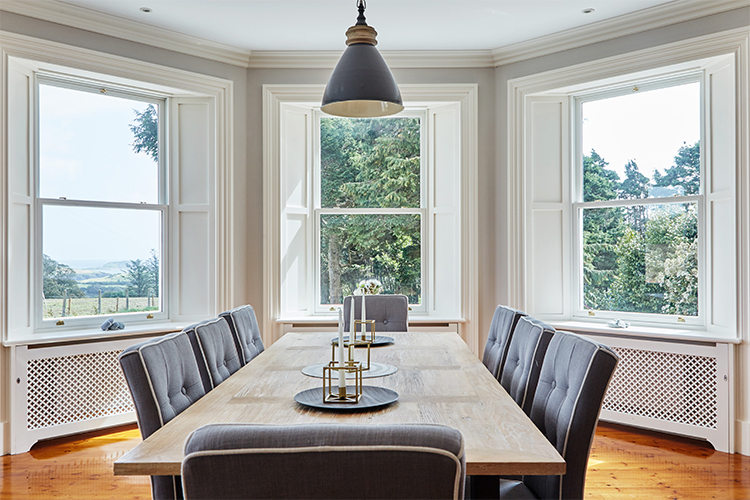 The Signature Andersen Aluminium Clad Wood Sliding Sash window is a modern, highly engineered product offering the latest in performance and technology while still matching the profiles and look of a traditional sliding sash window. 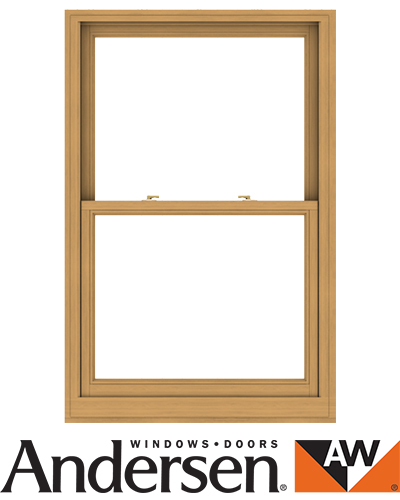 This sash window from the Andersen E-Series Range is available in both standard and custom sizing making it suitable for both replacement and new build applications. 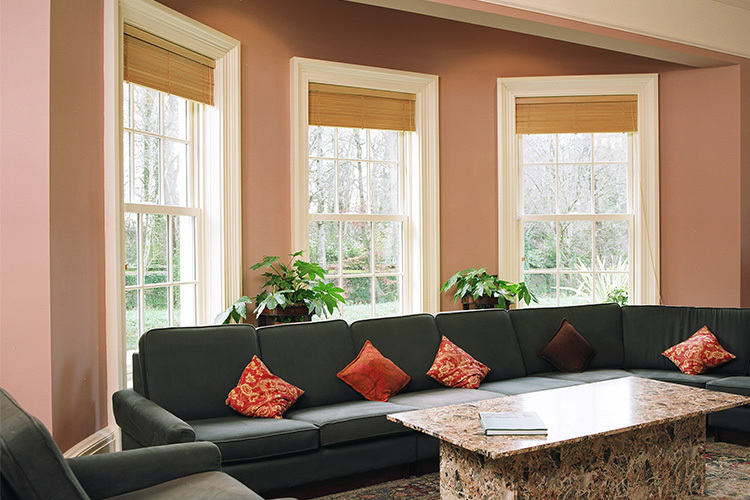 Use the Signature Andersen Sliding Sash Window to create a compelling feature within your home. The finely crafted wood interior is available in 10 different wood species and adds structural strength and thermal efficiency to this window. The in-house Signature paint division can varnish, stain or paint the wood to suit the interior décor of your home. The refined clad exterior gives a classic and traditional lined appearance to the Signature Andersen Sliding Sash Window. The exterior cladding protects the wood from the elements making this window durable as well as low maintenance. For complete customizability, the cladding is available in a wide range of colours and finishes. 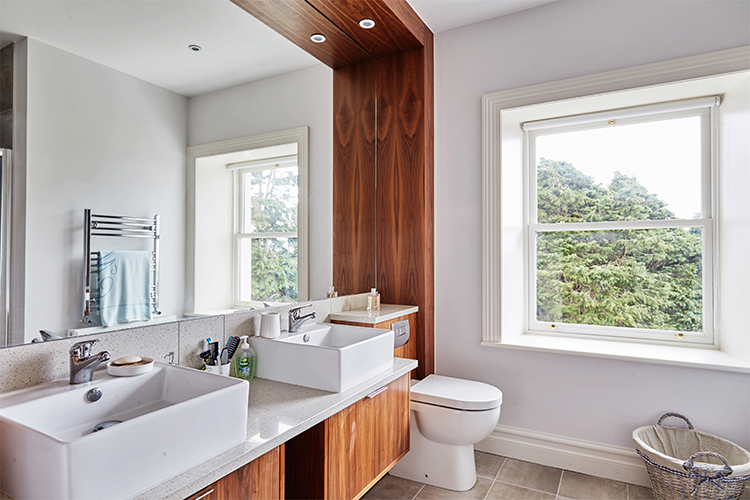 The sashes of the Signature Andersen Aluminium Clad Wood Window tilt in for easy cleaning from the inside of your home. High performance low E-4 argon filled self-cleaning glass offers exceptional energy efficiency as well as innovative self-cleaning properties. 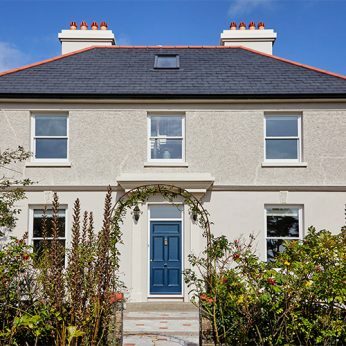 Check out Signature’s latest Andersen project here, featuring Edwardian styled Aluminium Clad Wood Sliding Sash Windows in West Cork. You can also visit the Dublin showroom to explore the unique features that Andersen Windows & Doors have to offer. Built With Authenticity In Mind: With finely profiled frame proportions and a narrow meeting rail, the classic sliding sash window design is maintained with a low maintenance aluminium exterior. 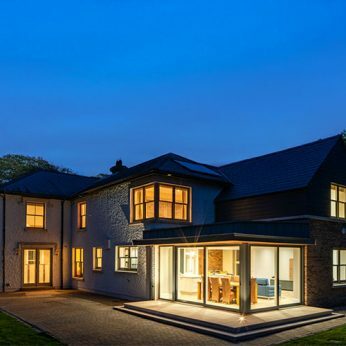 Slim Profiles: Slim aluminium clad profiles designed with traditional architectural authenticity provide finely crafted detail and a refined shadow line with a strong emphasis of the narrow window frames creates a classical architectural element. Design Versatility: Fully customisable window with 50 exterior clad colours and 7 anodized finishes and a variety of hardware styles and finish options. Bare Wood Interior: Interior wood available in 10 species and 12 finish options to match your interior décor. You can also paint your interior in any RAL colour of your choice. 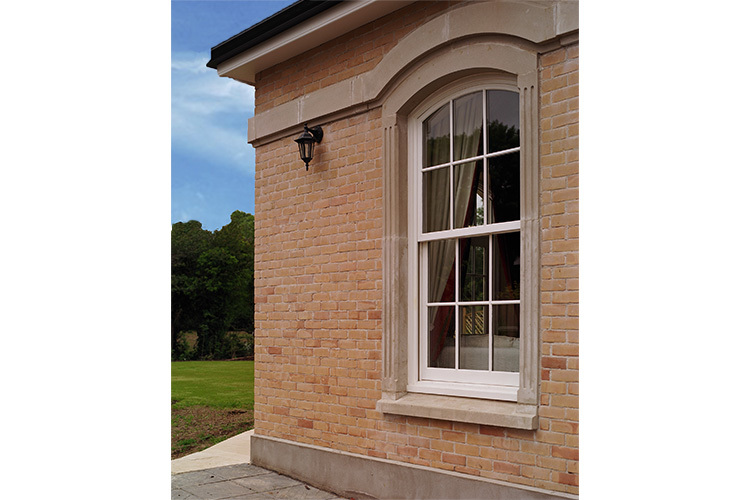 Dramatic Sizes: Standard and custom sizes available making this window suitable for both replacement and newbuild projects and allowing you to create your own design. 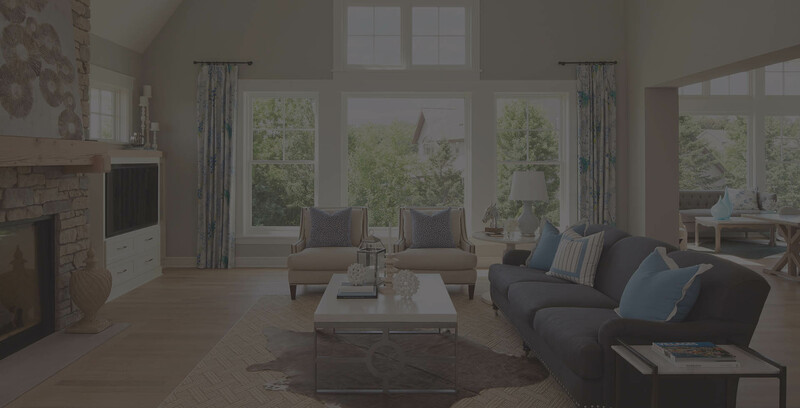 Combination Options: These Aesthetically pleasing windows will match all other Andersen Windows and Doors giving you a harmonious look to your home. Innovative Wash-Mode: Tilting sash featuring concealed easy-tilt locks allows for easy cleaning of your window from inside your house. Low Maintenance Exterior: Exteriors will look as good in 20 years and won’t crack, peel, flake or blister thanks to the extruded aluminium. Extruded Aluminium: The extruded aluminium cladding exterior protects your wooden interior from the natural elements which means you don’t have to worry about maintenance. Extensive warranty 10/20 year available as standard. Contact Signature for more information. First-Rate Energy Efficiency: Andersen’s standard double glazing consists of Insulating Glass with Low E and Argon gas which eliminates heat loss due to the insulated air space between the glass layers. Custom Glazing Solutions: For both beauty and performance, a range of high-energy performing glazing options are available to suit your needs.